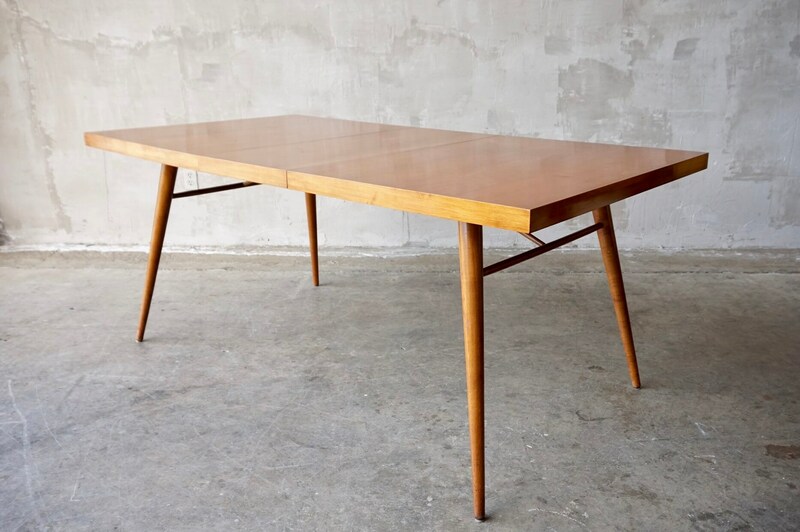 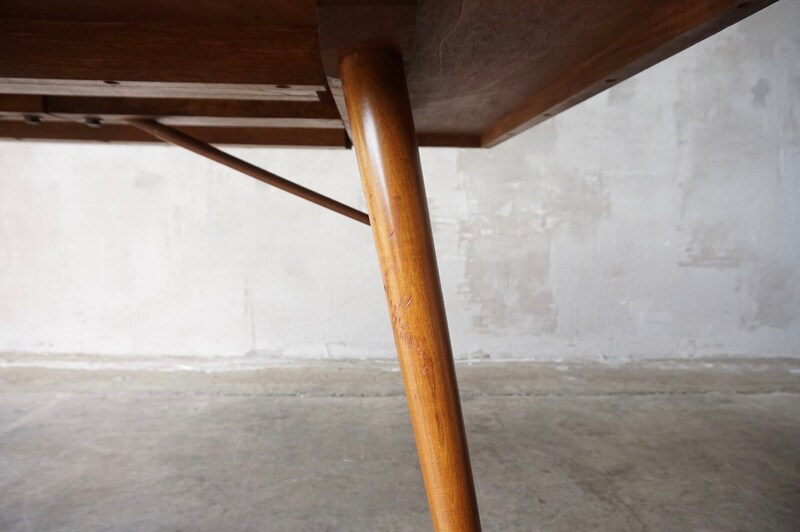 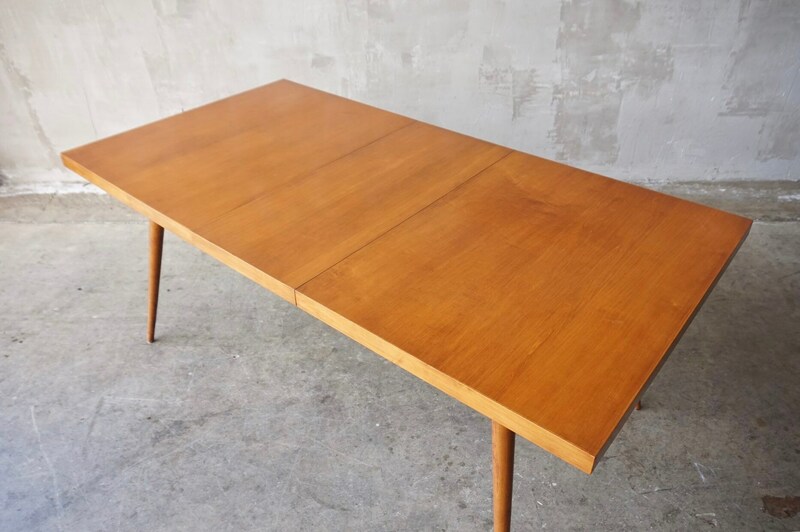 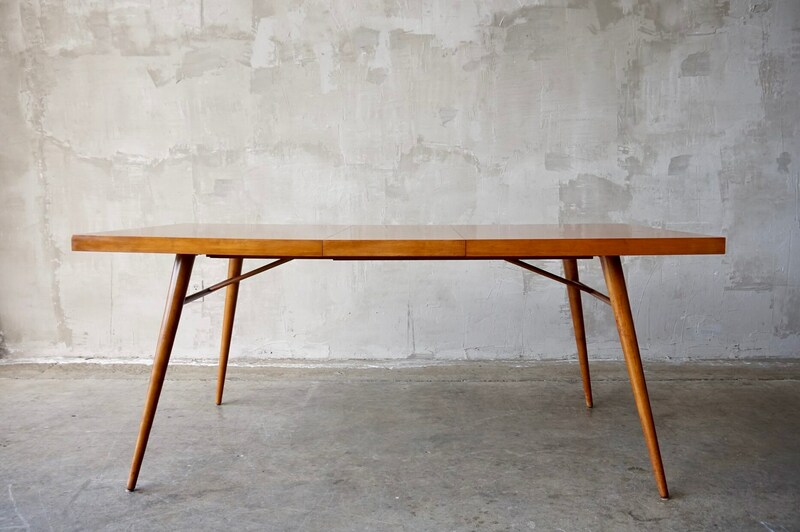 Extremely handsome dining table designed by Paul McCobb for Winchendon, c. 1950s. 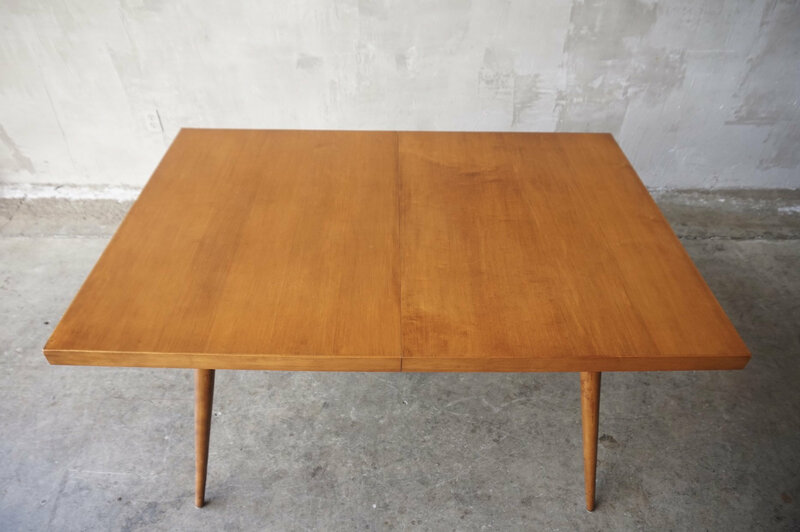 Very nice original condition, with just typical but minor scuffs. 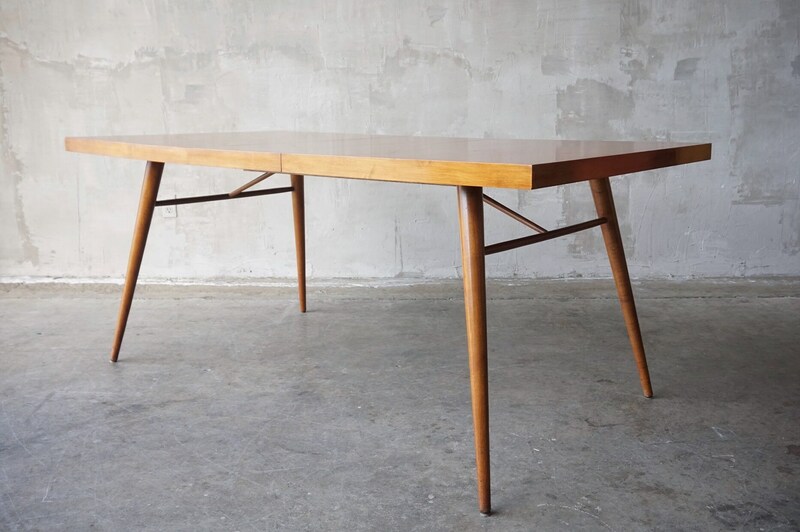 Table measures 36”W x 54”L x 29”H. 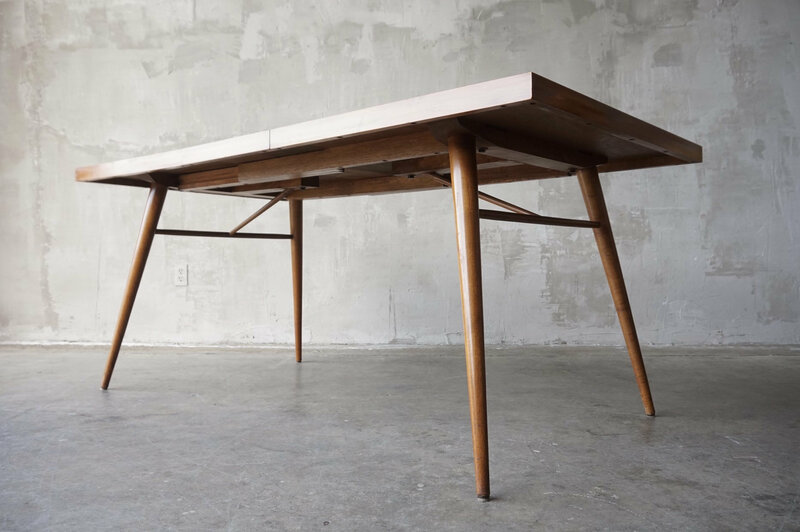 Includes one 15” expansion leaf bringing the table to 69”L.